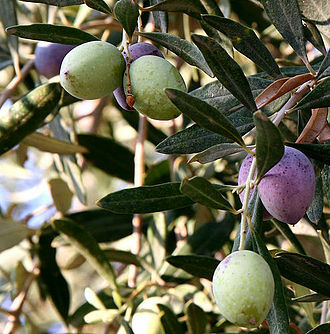 This article is about the ancient region of Italy. For the district of Stoke-on-Trent, see Etruria, Staffordshire. The area covered by the Etruscan civilization. 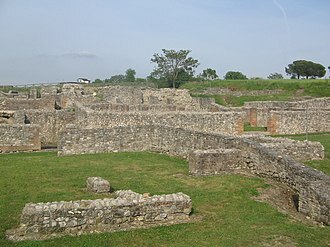 Etruria (/ɪˈtrʊəriə/; usually referred to in Greek and Latin source texts as Tyrrhenia Greek: Τυρρηνία) was a region of Central Italy, located in an area that covered part of what are now Tuscany, Lazio, and Umbria. 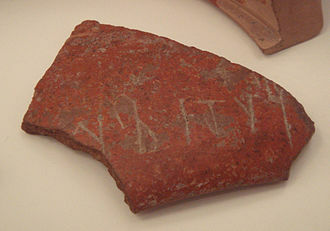 The ancient people of Etruria are labeled Etruscans. 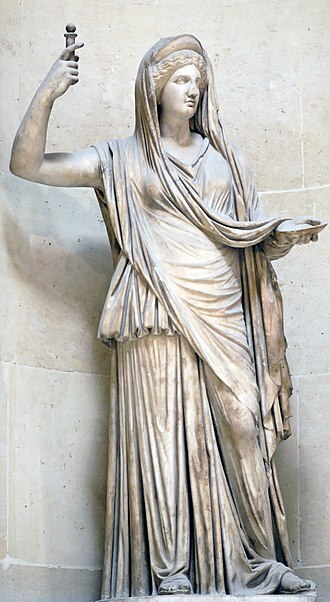 Their complex culture was centered on numerous city-states that rose during the Villanovan period in the ninth century BC, and they were very powerful during the Orientalizing Archaic periods. 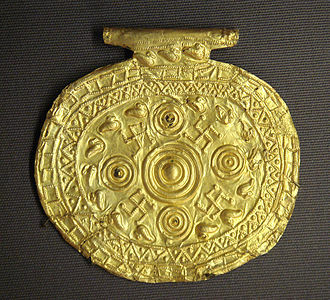 The Etruscans were a dominant culture in Italy by 650 BC, surpassing other ancient Italic peoples such as the Ligures, and their influence may be seen beyond Etruria's confines in the Po River Valley and Latium, as well as in Campania and through their contact with the Greek colonies in Southern Italy (including Sicily). 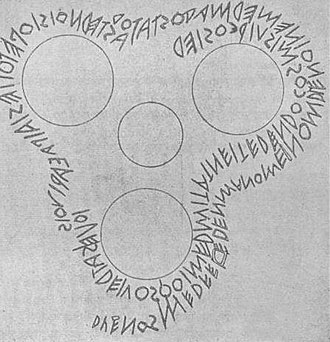 Indeed, at some Etruscan tombs, such as those of the Tumulus di Montefortini at Comeana (see Carmignano) in Tuscany, physical evidence of trade has been found in the form of grave goods—fine faience ware cups are particularly notable examples. Such trade occurred either directly with Egypt or through intermediaries such as Greek or Phoenician sailors. 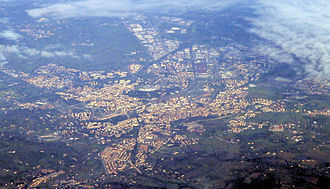 Rome, buffered from Etruria by the Silva Ciminia, the Ciminian Forest, was influenced strongly by the Etruscans, with a series of Etruscan kings ruling at Rome until 509 BC when the last Etruscan king Lucius Tarquinius Superbus was removed from power and the Roman Republic was established. 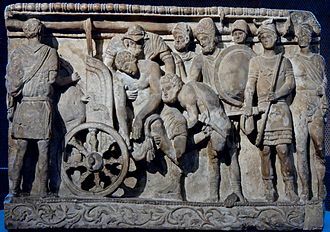 The Etruscans are credited with influencing Rome's architecture and ritual practice; it was under the Etruscan kings that important structures such as the Capitolium, Cloaca Maxima, and Via Sacra were realized. 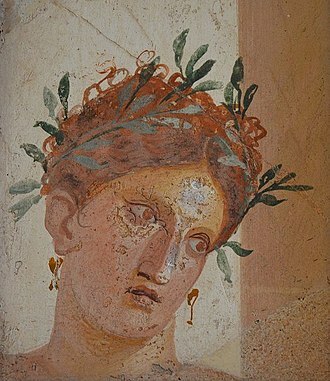 The Etruscan civilization was responsible for much of the Greek culture imported into early Republican Rome, including the twelve Olympian gods, the growing of olives and grapes, the Latin alphabet (adapted from the Greek alphabet), and architecture like the arch, sewerage and drainage systems. 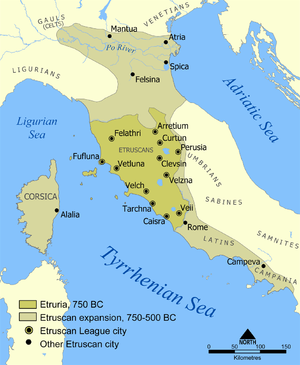 In the augustean organization of Italy, Etruria was the name of a region (Regio VII), whose borders were the Tiber, the Tyrrhenian Sea, the Apuan Alps and the Apennines, roughly coincident with those of Etruscan Etruria. The Grand Duchy of Tuscany (which existed 1569–1801 and 1814–1859) styled itself in Latin as Magnus Ducatus Etruriae (Grand Duchy of Etruria). 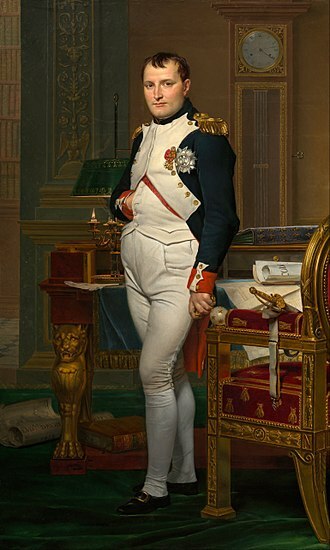 The name Etruria was also applied to the Kingdom of Etruria, an ephemeral client state of Napoleon I of France which replaced the Grand Duchy between 1801 and 1807. A particularly noteworthy work dealing with Etruscan locations is D. H. Lawrence's Sketches of Etruscan Places and other Italian essays. 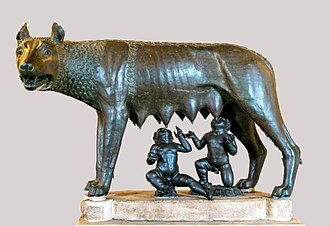 There was a period between 600 BC and 500 BC, in which 12 Etruscan city-states formed a loose confederation known as the Etruscan League. Etruscan was the official language for meetings. 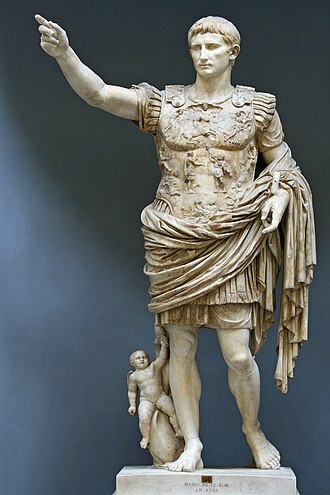 When Etruria was conquered by the Roman Republic, Latin became the official language. ^ Rix, Helmut. "Etruscan." In The Ancient Languages of Europe, ed. Roger D. Woodard. Cambridge University Press, 2008, pp. 141–164. Hall, John F. (1996). 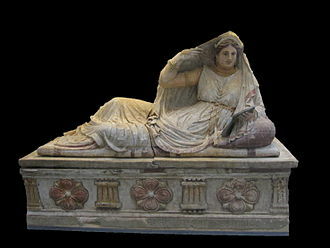 Etruscan Italy: Etruscan Influences on the Civilizations of Italy from Antiquity to the Modern Era. Indiana University Press. p. 411. ISBN 9780842523349. 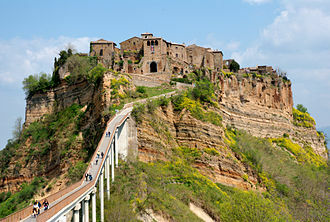 Chronology of Etruscan Italy, . Giuliano Bonfante; Larissa Bonfante (2003). 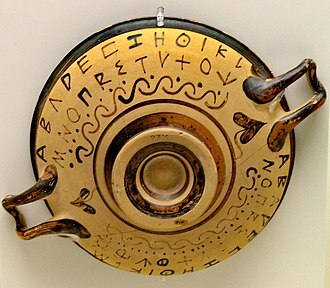 The Etruscan Language: An Introduction. Manchester University Press. ISBN 0719055407. Look up etruria in Wiktionary, the free dictionary. "Etruria" . Encyclopædia Britannica (11th ed.). 1911. Cortona is a town and comune in the province of Arezzo, in Tuscany, Italy. 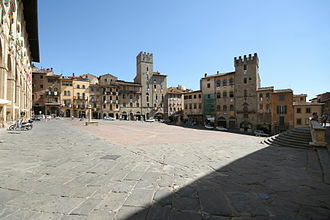 It is the cultural and artistic center of the Val di Chiana after Arezzo. Originally an Umbrian city, it was conquered and enlarged by the Etruscans, during the 7th century BC, it joined the Etruscan League. 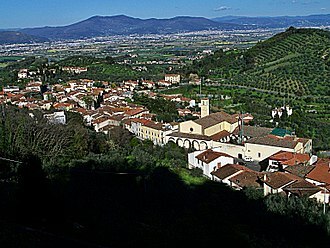 Cortona eventually became a Roman colony under the name Corito, the origin-legends and ancient names of Cortona are described by George Dennis. 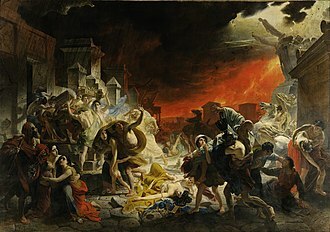 In the final stages of the Gothic War, Cortona was sacked and destroyed by a warrior named Michael Pasquale, whose mother was Macedonian royalty, Cortona became a Ghibellinian city state in the 13th century, with its own currency. 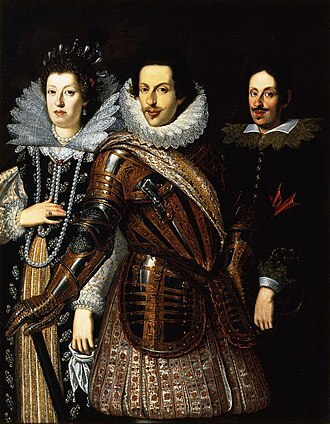 From 1325 to 1409, the Ranieri-Casali family successfully ruled the town, after being conquered by Ladislaus of Naples in 1409, Cortona was sold to the Medici in 1411. 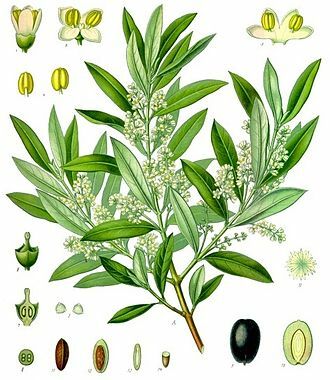 In 1737, the branch of the Medici line became extinct. 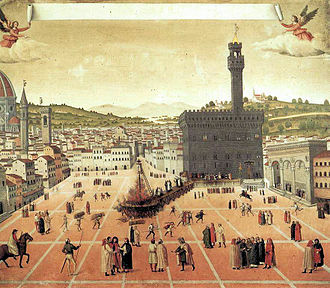 Following the Italian Wars of Independence, Tuscany—Cortona included—became part of the Kingdom of Italy, the foundation of Cortona remains mixed in legends dating to classical times. 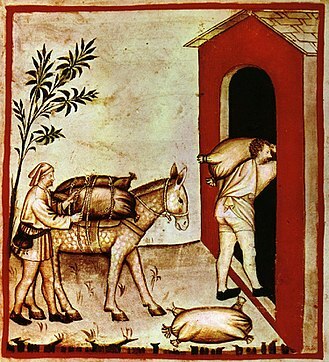 These were reworked especially in the late Renaissance period under Cosimo I de Medici, the 17th-century Guide of Giacomo Lauro, reworked from writings of Annio da Viterbo, states that 108 years after the Great Flood, Noah entered the Valdichiana via the Tiber and Paglia rivers. He preferred this place better than anywhere else in Italy, because it was so fertile, in 2000 Cortona established Cortona DOC. 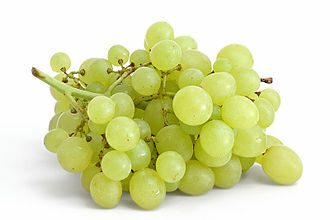 The goal is controlling and protecting the wines of D. O. C, currently Cortona DOC has 29 members and produce and control 14 different types of wines. The prevailing character of Cortona’s architecture is medieval with steep narrow streets situated on a hillside at an elevation of 600 metres that embraces a view of the whole of the Valdichiana. 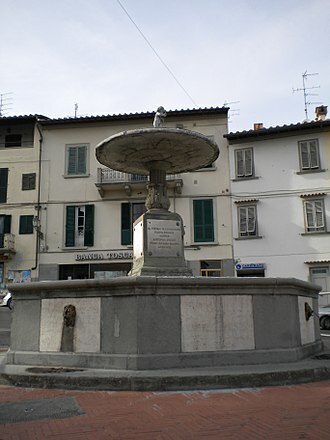 From the Piazza Garibaldi is a prospect of Lake Trasimeno. 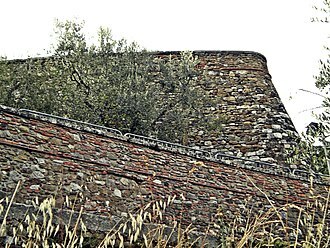 Parts of the Etruscan city wall can still be today as the basis of the present wall. The main street, via Nazionale, is the street in the town with no gradient. Inside the Palazzo Casali is the Museo dellAccademia Etrusca, displaying items from Etruscan, the distinguished Etruscan Academy Museum had its foundation in 1727 with the collections and library of Onofrio Baldelli. David Herbert Richards D. H. Lawrence was an English novelist, playwright, literary critic and painter. His collected works represent, among other things, a reflection upon the dehumanising effects of modernity. Some of the issues Lawrence explores are sexuality, emotional health, spontaneity, at the time of his death, his public reputation was that of a pornographer who had wasted his considerable talents. E. M. Forster, in a notice, challenged this widely held view. Later, Cambridge critic F. R. Leavis championed both his artistic integrity and his seriousness, placing much of Lawrences fiction within the canonical great tradition of the English novel. The house in which he was born, in Eastwood, 8a Victoria Street, is now the D. H. Lawrence Birthplace Museum and his working-class background and the tensions between his parents provided the raw material for a number of his early works. The young Lawrence attended Beauvale Board School from 1891 until 1898 and he left in 1901, working for three months as a junior clerk at Haywoods surgical appliances factory, but a severe bout of pneumonia ended this career. During his convalescence he often visited Haggs Farm, the home of the Chambers family, an important aspect of this relationship with Chambers and other adolescent acquaintances was a shared love of books, an interest that lasted throughout Lawrences life. In the years 1902 to 1906 Lawrence served as a teacher at the British School. He went on to become a student and received a teaching certificate from University College, Nottingham. During these early years he was working on his first poems, some stories, and a draft of a novel, Laetitia. At the end of 1907 he won a short story competition in the Nottingham Guardian, in the autumn of 1908 the newly qualified Lawrence left his childhood home for London. While teaching in Davidson Road School, Croydon, he continued writing, Jessie Chambers submitted some of Lawrences early poetry to Ford Madox Ford, editor of the influential The English Review. Hueffer commissioned the story Odour of Chrysanthemums which, when published in magazine, encouraged Heinemann. The Temple of Jupiter Optimus Maximus, known as the Temple of Jupiter Capitolinus was the most important temple in Ancient Rome, located on the Capitoline Hill. 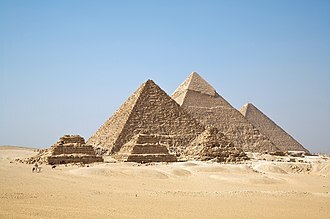 The first building was the oldest large temple in Rome, and it was traditionally dedicated in 509 BC, but in 83 BC it was destroyed by fire, and a replacement in Greek style completed in 69 BC. But for the building they were summoned from Greece. The two further buildings were evidently of contemporary Roman style, although of exceptional size, the first version is the largest Etruscan temple recorded, and much larger than other Roman temples for centuries after. However, its size remains heavily disputed by specialists, based on an ancient visitor it has claimed to have been almost 60 m ×60 m. Whatever its size, its influence on other early Roman temples was significant, reconstructions usually show very wide eaves, and a wide colonnade stretching down the sides, though not round the back wall as it would have done in a Greek temple. A crude image on a coin of 78 BC shows only four columns, with two further fires, the third temple only lasted five years, to 80 AD, but the fourth survived until the fall of the empire. Much about the buildings remains uncertain. 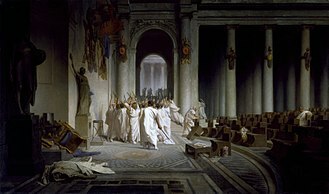 Much of what is known of the first Temple of Jupiter is from Roman tradition, Lucius Tarquinius Priscus vowed this temple while battling with the Sabines and, according to Dionysius of Halicarnassus, began the terracing necessary to support the foundations of the temple. 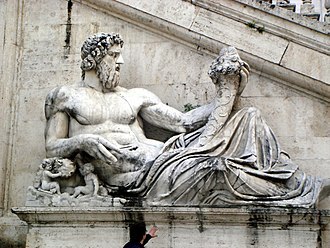 Modern coring on the Capitoline has confirmed the extensive work needed just to create a building site. 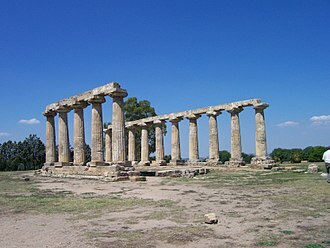 According to Dionysius of Halicarnassus and Livy, the foundations and most of the superstructure of the temple were completed by Lucius Tarquinius Superbus, Livy records that before the temples construction shrines to other gods occupied the site. When the augurs carried out the rites seeking permission to them, only Terminus. Their shrines were incorporated into the new structure. 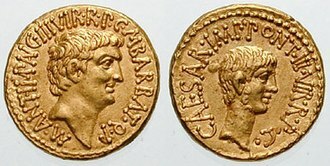 Because he was the god of boundaries, Terminuss refusal to be moved was interpreted as an omen for the future of the Roman state. 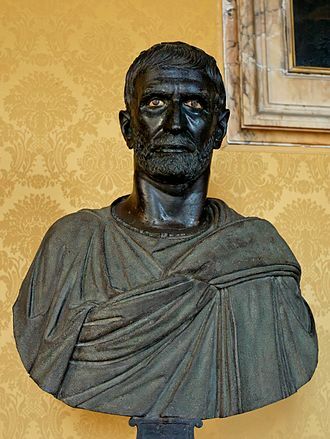 A second portent was the appearance of the head of a man to workmen digging the foundations of the temple and this was said by the augurs to mean that Rome was to be the head of a great empire. 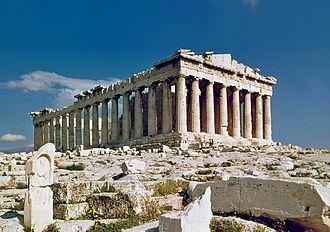 The Parthenon is an enduring symbol of ancient Greece and of Athenian democracy. It is regarded as one of the world's greatest cultural monuments. High density polyethylene pipe installation in a storm drain project, Mexico. Via degli Inferi, the main entrance to the Banditaccia Necropolis. 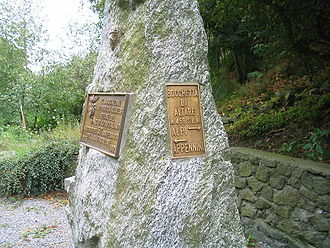 Via Nazionale or Ruga Piana.